Tasks and Forms – If a task is set to be completed by a form fill, the task does not need to be completed upon the next form fill. Tasks – If multiple tasks are due at once, instead of multiple emails the tasks will arrive in one email digest. Site Invitations – Create site invitations without sending an email alert. 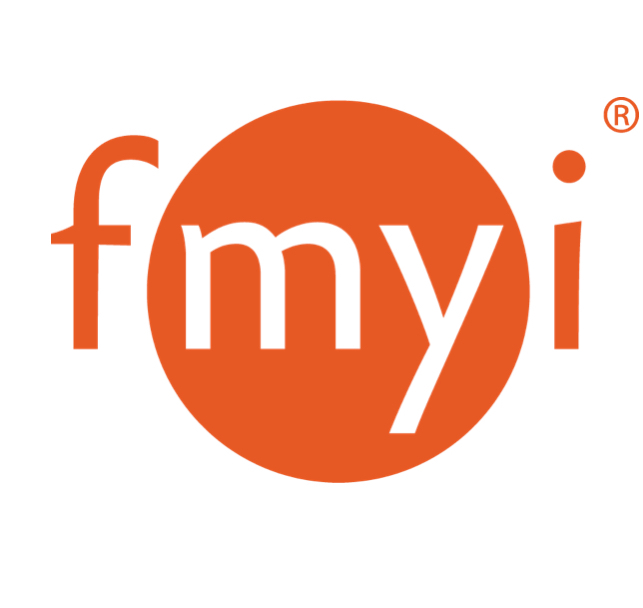 An admin invites users into their FMYI site and unchecks the option to send an email. Then they build the whole site assigning tasks, workspaces, teams, etc. to the people they invited. When the site is ready, the admin uses the “resend invitation” functionality via the Admin tab so users are welcomed into a pre-built site. Forms – For sites with forms, there is now a link to find all workspaces where no form was completed within a certain time frame. Page – (Admin) Option to Feature a page on the home page is in the “Page actions” menu (top right). Page – Filter by topics now filters posts that are featured at the top of the page. Post by email – The page email address (to use if you want to post a message or file to a page by email) is visible in the “Page actions” menu. Post by email – Emailing the page now includes the header. Post by email – Auto-responder (out of office) replies don’t post. Page – Page action menu (containing page options) top right of each page makes the page cleaner. Posting – Action menu (to edit, delete, change topic and move each post) makes the page cleaner. Posting – Second half of post box loads separately, speeding up page load time. Post by email – Click an email address in contact info and it will BCC into your site for your records. Post by email – Option for email to post on page without sending out email alerts. Post by email – Check for duplicate files already posted on the page. Subscription level changes – Add page category and search labels to lite and plus level sites. Email alerts – Stoplight Email: Redesign page to choose the perfect amount of email for you! Email alerts – Users editing a post or adding a comment will be alerted for future comments or edits. Mobile – Post Event/Appointment directly on a page in mobile view. Posting – Auto-scroll to new post after it is added so you see it in the latest activity. Searching – On page, click tab to filter messages, files, etc. loads without requiring scrolling down. Report – Activity report: return thousand of rows at once (up from 500). Alerts – Option for Admin to remove Site name from Subject line of email alerts. Post by email – Inbound attachments: Accept and post multiple attachments. Search – Add alphabetical page filter when viewing page category or sub-category. Navigation – Tab configuration options for Search and Add tabs. Home – When disabling all items on Right hand column, Tools section still displays. Page – Added text “Latest Activity” on page view. Post by email – Inbound attachments: Post as a file to the page. My Profile – Welcome name (top right) links to my profile page. My Profile – Access account Settings via My Profile. Import – Import spreadsheet: allow mapping to a page subcategory. Page – In “Filter by topic”, add None option. Posting – Move urgent box, show user’s digest setting, switch urgent bar for exclamation point icon. Reports – Activity Report, add topic for each post. Alerts – Digest: Increase text included in each digest post. Custom fields – Allow admin to drag and drop order of custom fields. Back end – Password reset code will expire 60 minutes after being sent. Contact info – Add social network fields to contact info. Search – Search by Email address: Allow user to select contact to be emailed. Backend – Further increase password encoding security. Email Digest – Allow more daily and weekly delivery options. Posting – Allow poster to indicate if post is Urgent, overriding the digest option. Post by email – Copy change explaining email replies will be posted on site. Page – Allow Page owner to set page as comment only for R/W users. Page options – Move “Post by email” slider from under Email Alerts to under Page Details. Sign in – Lock account after 10 failed attempts at signing in. Lock lasts maximum ten minutes. Sign in – signing in via public site redirects user to the site they came from. Back end – Better detect expired sessions for all ajax requests. Alerts – Option to receive a digest of notifications daily, located in user’s profile. Apply to a site – Without email verification (If user enters incorrect email address then user will need to re-apply). Apply to a site – Site option to allow joining directly without approval. Sign up – Site option to record profile search labels during site sign up. Alerts – Add previous message and original message when sending alerts. Public access – Anonymous access to site and pages. Back end – History refactoring and reorganization. Back end – Upgrade jQuery to latest production release. Back end – Upgrade to tomcat 7. Page – Option for extra security to hide more information from restricted users. Page – When commenting via email, send notification to those who previously received notification. Back end – Updated controllers. Admin – Allow admin to enable post via email for all pages in site. Calendar – Add event via calendar, include Main Calendar and Repeat options. File – Transparent areas of images saved as black in thumbnails. Profile – Add “Administer” button to profile page for sites. Back end – Upgrade to latest stable JQuery. Back end – Remove directive whitespace from comments and recipients list. Back end – Use ajax to load list of responses for team task. Batch update – Include Teams in update page membership. Reports – Allow description field to be exported on the Site Report. Message – Handle forwards well when posting by email. Import – Better handle duplicates and user importing. Page – Allow users to create topics when posting. Admin – Bulk reassign users via advanced search (off by default). Account – Organize My Accounts page. Account – Search across all your sites. Import Spreadsheet – Map columns to search labels. Signup – Live validate username, show password strength. Search – Rank posters/users based on relevance when searching. Task – Option to send alerts to people responsible when approving tasks. Back end – Make interact bounce-aware. Admin – For “Select the default post type”, change drop down order. Import spreadsheet – Add teams to drop down when choosing to assign page owner. Page – Allow user to set default teams when creating a new page. Search – Autocomplete suggestions for search input. Task – For closed tasks, strikethrough task name and add msg. Admin – In Manage people section: when you manually add a new user, you can choose team(s) for that user. Admin – In manage page categories, admin can “Select the default post type: ” (defaults to message). Admin – In Manage People, display Edit link for admin who is logged in. Calendar – Display “Pending approval” option for approvers of team tasks. Report – Add page status and search labels to reports. Teams – Teams need access to a page in order to appear in the list of people responsible. Comment – Partial user interface redesign. Back end – Check MX record for domain when adding email address. Back end – Set envelope-from on email notifications.